Is Talc in Makeup Bad for You? Whether it's the food we eat or the formulas we apply to our skin, we all seek products that—while beneficial to our beauty needs—are healthy, not harmful. With food, it's a little more clear. Clearly, a piece of fruit is more natural and better for you than a bag of chips. But with beauty, navigating what's healthy and what's harmful is not as simple. We've been warned of the dangers of parabens and phthalates, but there are tons of other ingredients in beauty products we apply to our faces every day. One ingredient that has been called into question is talc. 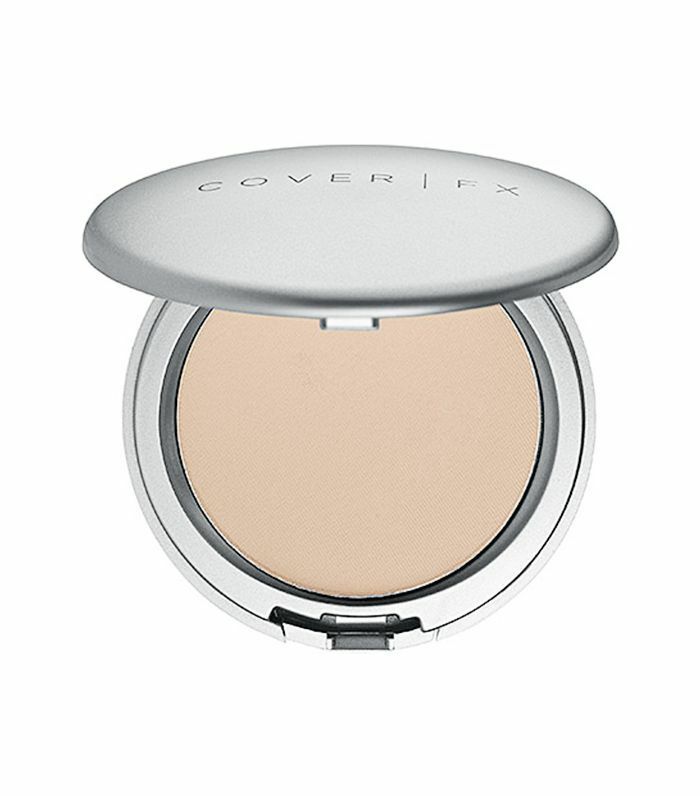 Upon visiting Cover FX in Los Angeles to learn more about what goes into the brand's popular formulations—including playing chemist and trying my hand at making some of my own products—I found out that the brand doesn't use talc in any of its powders. My knowledge of the mineral was limited at best, but I had read about its possible ties with cancer and concerns over whether its presence in cosmetics could be making people sick. So I followed up with Victor Casale, the co-founder and chief chemist of Cover FX, to hear why he chose to ditch the controversial ingredient—and what he said was not what I expected. 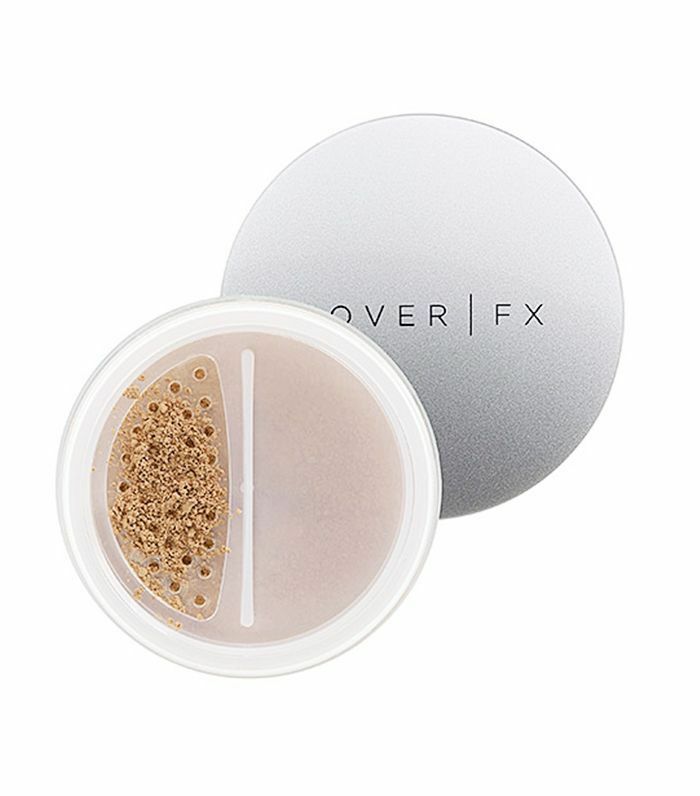 Head below to learn more about talc in makeup, and see what Victor Casale of Cover FX has to say about it. 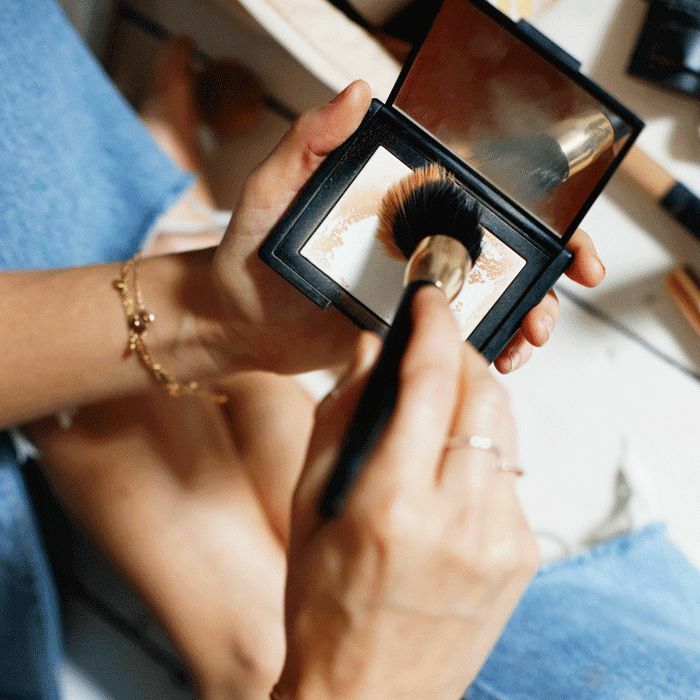 Before even doing a deep dive into whether talc is harmful in cosmetics, Casale wanted to set a few things straight about makeup and safety. One of the biggest misconceptions surrounds the idea of natural products. "When you use the word 'natural,' it's all relative, and it's subjective," notes Casale. "What I like to say is that we should be talking about the degrees of naturalness." Even so, as a chemist, Casale understands that even natural products can be harmful to the skin and health, while synthetics can be more effective and much safer. "People care about the naturalness of their makeup, but most of the medications they take are synthetic." So instead of prioritizing natural ingredients, Casale considers each ingredient's actual effects on the skin and body to rank the safety of its use. 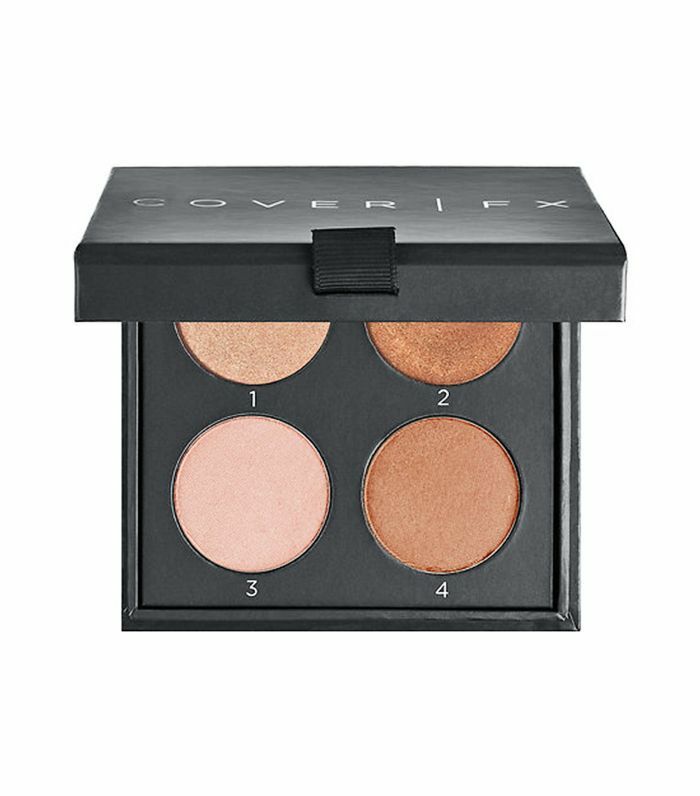 "At Cover FX, what I do is look at the ingredients—I don't look at the degrees of naturalness," explains Casale. "I look for safety, toxicity, odor, effectiveness, stability, and sustainability of the sources." He underscores that the goal is to produce quality products that are safe for people. "It's a balance of using science, nature, and what technology is available." Talc is a natural mineral—the softest mineral on record—and is used in everything from paints to textiles to drugs to, you guessed it, cosmetics. "But in cosmetics, specifically, we look for suppliers that mine it in its purest form," explains Casale. The naturally occurring mineral is extracted from open-pit mines in the U.S. and around the world. "It's milled down very easily, and it's used as an expender in our repertoire." In other words, it's a dilutant that's paired with pigment for the desired effect. "If you take some of that pigment, and you put it on your hand, it's intense. You have to dilute it. You can't sell it that concentrated. Talc is the dilutant." "I've been using talc since I started," admits Casale, who also co-founded MAC. "30 years ago, that's what everybody used." 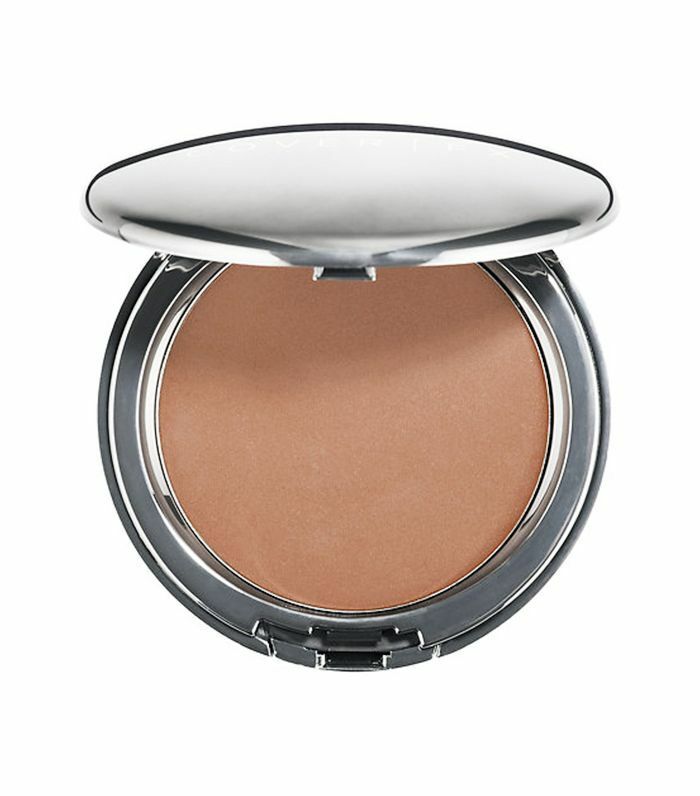 When he was formulating MAC's Studio Fix powder foundation, still one of its best sellers, Casale used talc. "The problem with talc, as I learn more and more and have more experience with it, is that if you put talc on your hand by itself and rub it in, it never really disappears. You have a white, chalky stain on your hand." When Casale first started in the cosmetics industry, "people liked that dry powder look," he recalls. "Today it's natural glow—they want it to look natural, they don't want it to look covered up. You want your beauty to come through your makeup." So when Casale reformulated everything in the Cover FX line five years ago, "I put my foot down and said we're not using talc. It's too chalky." Instead, Casale opted for ultra-fine mica. The mineral is similar to talc but is used to create the frost in your lipstick or eye shadow. When you break down mica, it breaks down flat—like a mirror—so, depending on the particle size, you can go from club glitter to frosty to illuminating to just glowy. "When you rub mica into your skin pure, it disappears," describes Casale. "So now, when I'm formulating, I can dilute the color, but it won't create a chalky finish on your skin. My decision [to ditch talc] wasn't made for safety concerns—that came later." Talc started becoming controversial when Johnson & Johnson was ordered to pay $72 million in damages to the family of a woman who died from ovarian cancer after 35 years of using talcum powder for feminine hygiene. More cases are looming, yet there's no definitive answer as to whether talc can be harmful in cosmetics, and most brands continue to use the mineral to this day. According to the American Cancer Society, talc is not a known carcinogen, and while asbestos-contaminated talc is a danger for talc miners or other workers who come in contact with natural talc fibers, it is not a concern for cosmetics. 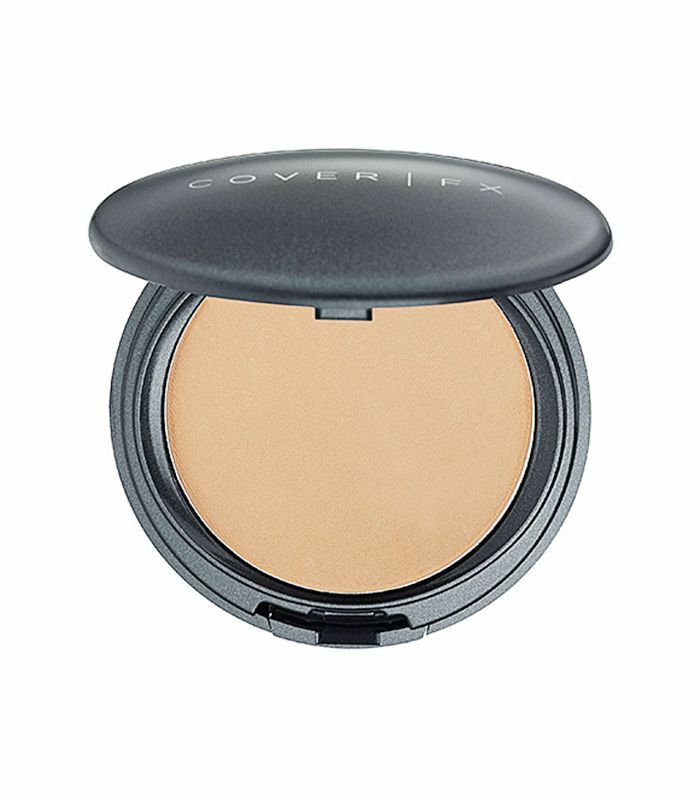 So while Casale has reformulated everything at Cover FX to be 100% free of talc, his reasons were aesthetic, as currently no increased risk of lung cancer has been reported with the use of cosmetic talcum powder—a fear when foundations and setting powders might be breathed in with the application. When Casale focuses on the safety of the ingredients in his formulations, he considers the toxicity. "I created a policy that we will not formulate any product that has a high toxicity," he says. He refers to the EWG Skin Database, which exists online and as an app, where dermatologists and toxicologists rate the toxicity of products on the market. With the exception of sunscreen and salicylic acid to treat acne, which are active ingredients that rank higher, everything Casale uses in his formulations is in the safe zone. Want to learn more about questionable ingredients? Discover nine beauty ingredients that are banned overseas (but legal in the U.S.).